I looked at the pic closely to see if maybe my Mom was on there. She grew up in Killamarsh (born Feb 1924). Lived in Bridge street. Her name was Betty Buckley. I think that is my father, Eric Newton. I have never seen this photo before. Most of the child could be related to each other by bloodline or marriage. Burdett relate to Northridge and widdowson, Roddy relate to Deakin and Mather, Dixon relate to Deakin and Longden, Mangham relate to Smedley and Mallender, Coggin and Newton relate to many. 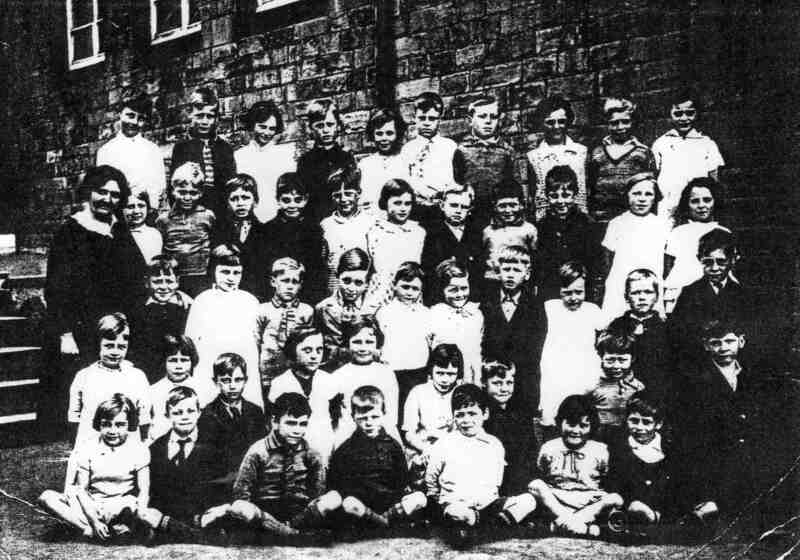 Killamarsh Junior Schol about 1931-1932. Back row (left to right): Ron Watson, Len Walker, Eileen White, Eric Newton, Joan Dixon, Mervin Pillinger, Jarvis Woolley, Joan Wright, Eric Walton, Irene Turton. Second row (left to right): Mrs Jones, Doris Banks?, ‘Billy’ Ken Mangham, Frank Holden, George Childs, Derek Thorpe, Bessie Bright, Eric Whitely, Cyril Perkins, ? ?, Joan Adams, Nora Speed. 3rd Row (left to right): Alf Hobson, Doris Lawton, Jack Roddy, Alan Cutts, Brian Gascoine, Nora Coggin? Ron Wells, Doris Bentley, Collin Gay, Norman Burdett. 4th row (left to right): Betty Burdett, Aneata Mills, Veronica Wheelhouse, Iris Pashley, Unice Bennett, Don Nettleship, Collin Webster, John Fells (kneeling). 5th row – sitting (left to right): Joyce Burdett, Harry Bartholomew, Charlie Hibbard, Frank Taylor, Albert Laws, Dennis Warwick, Una Batty, Ray Hughes.